Surprise your grandchildren with a bed caddy to hold precious toys and things just for them when they come visit or at their home. The caddy fits in between the bed mattress and box spring for easy accessibility. 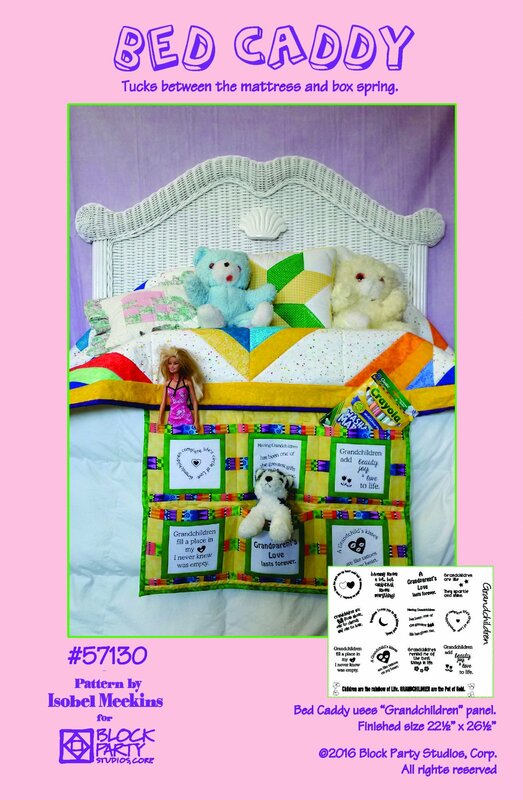 This item includes the caddy pattern and Grandchildren panel. Caddy finishes to 22.5" x 26.5". Choose between White or Natural for the Grandchildren fabric panel.